Somebody who's like nobody else! The elegant, silvery hunting dog with the amber eyes is considered one of the most distinguished dogs and is being discovered more and more by non-hunters who are intrigued by its looks. While easy to guide and affectionate, the Weimaraner isn't for everyone. Because the self-confident and intelligent dog is a full-blooded hunter with a pronounced hang towards protectiveness and special needs. Gila and Anton Fichtlmeier describe what this demanding hunting dogs need and how you can encourage and train them appropriate to their breed. For more than 25 years, Anton Fichtlmeier has worked with dogs and has led classes, from puppy imprinting up to training for hunting dogs. Always along with the camera: his wife, Gila Fichtlmeier. 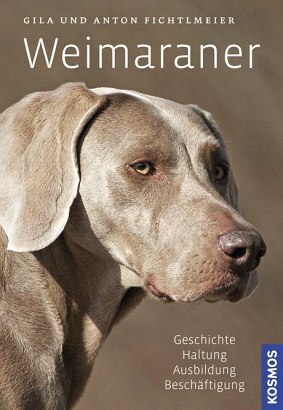 Both have lost their heart to this breed and know what Weimaraners really need.